Author: Shields, Carol Set In . . . 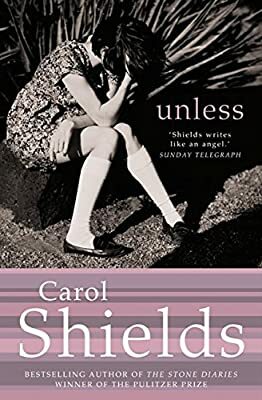 Description: Dazzling novel from Carol Shields, author of 'The Stone Diaries', winner of the Pulitzer Prize, and 'Larry's Party', winner of the Orange Prize. 'Breathtaking!a masterpiece.' Geoffrey Wansell, Daily Mail Reta Winters has a loving family, good friends, and growing success as a writer of light fiction. Then her eldest daughter suddenly withdraws from the world, abandoning university to sit on a street corner, wearing a sign that reads only 'Goodness'. As Reta seeks the causes of her daughter's retreat, her enquiry turns into an unflinching, often very funny meditation on society and where we find meaning and hope. 'Unless' is a dazzling and daring novel from the undisputed master of extraordinary fictions about so-called 'ordinary' lives.